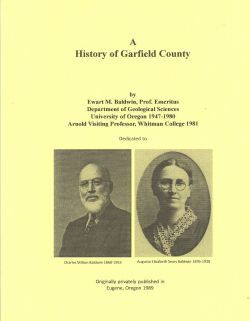 A History of Garfield County by Ewart Baldwin, is primarily short bits culled from the various local Garfield County newspapers from the beginning of the county through the 1920's. Baldwin adds commentary from his family history. Completely re-typeset in 2013, this book is 166 pages, combound.